It’s been 15 months and we’re still judged, legislated and executed by SCAF. It seems like it was only the other day when a small group of revolutionaries were independently trying to talk everyone else from not walking into SCAF’s parliamentary elections. I even wrote a blog post about and had my friend Arwa translate it into Arabic to try to get my point across to as many counterparts as possible. We can go back and forth on whether or not boycotting was the right thing to do – I know I’m clear on my stance. The fact of the matter is, as revolutionaries, regardless of how we go about solving Egypt’s problems, no one would want to give legitimacy to the obnoxious, backwards circus we call the parliament. Who would want a crowd of grumpy, old men who applaud the members as they reiterate that the revolutionaries are a bunch of Tramadol-swallowing foreign agents and thugs who receive two meals daily? There were many reasons for boycotting, the most important of which was the fact that SCAF would never let anyone they don’t approve of win. The parliament is overwhelmingly supportive of the ministers and the military. Not to mention that, four months and a couple of massacres later, the members of the ‘revolutionary’ parliament have done as much with their legislative power as Mubarak has done to improve the lives of Egyptians over 30 years. The question remains: Why would SCAF ever let a candidate they don’t approve of win the elections? They’re not the most visionary personnel (who would need to be at 70? ), their disorganization is embarrassing even to their opponents, but they’re not stupid. Our military is like a black box where even the number of generals that make up the military junta is doubtful. Tantawi, Anan and the rest strive to keep status quo, which would mean that their budget remains mysterious, their relations with the US and Israel intact, and their factories and products rolling. Few would argue against ‘SCAF’s candidate’ inevitably winning it. I would add that their loyal dog Amr Moussa has been granted the honor to serve his superiors just as he has successfully done with Mubarak and the rest before them. Regardless of the daily fiasco that has breaking news every hour changing the course of the race, Amr Moussa’s position has been solid from the very beginning and, if anything, has been strengthened further. SCAF do not need to be directly involved throughout the entire electoral process. The judges can ban Hazem Abu Ismail, the police can arrest Mortada Mansour, and even the useless parliament can push for a law banning remnants of the old regime from running (going back 10 years only, not 12 of course – you wouldn’t want to stand in Amr Moussa’s way, would you?). The Muslim Brotherhood’s surprise involvement in the presidential race did very little to win them popularity votes. Regardless of whether they feature Al Shater or Morsi (or Aboul Fotoh), we can be sure that the Islamists’ vote has been further defused. As a result, the rise of Islamophobia in the country will swing votes towards Amr Moussa. Furthermore, Omar Suleiman’s attempt, regardless of whether or not he made it to the ballot, scares many of those against the military establishment to vote central and settle for Amr Moussa. If we are well aware that SCAF would never let a candidate they disapprove of come out victorious, then why are we giving their process any legitimacy? Supporting an independent ‘revolutionary’ candidate is giving a vote of confidence to the process which will bring SCAF’s preferred candidate to power. Nevermind which candidate you settle for, and whether or not you are fully convinced, or just ‘settling for the best of the worst’, the outcome is identical. Any vote to someone who doesn’t stand a chance reaffirms the right SCAF’s candidate has to rule us and protect the military. The revolution did not make any gains because a few intellectual men with political experience sat on a round table and made some strategic decisions. Our advancement comes from the fact that all factions of the dynamic Egyptian society took part and mobilized on the ground in the different directions. When Mubarak promised to step down after six months, we took off our shoes and pointed them at the big screen in Tahrir. Not because we didn’t believe him (he would’ve been crazy to lie to us at that point), but because we refused to trust the system. We were convinced that we needed change, and when you aim for change from within, you end up with reform. Reform is a tool used by authoritarian regimes to protect themselves and last longer – it is not a step towards change because it’s specific purpose is all the contrary; protect the system and avoid change. For our desire in change to flourish and translate into tangible gains on the ground, we simply cannot rely on the hero on top of the food chain that implements a few laws and discusses a handful of policies. That is not change, that’s reform. And nobody took the streets risking his or her life for mild reform. We’ve sacrificed a couple of thousand Egyptians for a better future for everyone, not to protect the old regime and make some mild reforms. When we’ve brought down the system and are in the process of building a new one, then we can welcome a president whose role will be to strictly implement the demands of the people, not dictate where we should go. The very fact that many are hoping that our next president will ‘continue with the revolution’s demands’ goes to show that we’ve thrown the responsibility on the top of the pyramid as oppose to taking it on ourselves. The revolution doesn’t happen when society’s elite and technocrats take the streets, it happens when we all join together and bring about change ourselves. When the argument for boycotting is brought to the table, many respond by saying that, while they agree that it’s the best action to take based on principle, on the ground the elections are happening and we cannot miss the moving train. Interesting. If SCAF decide to postpone the elections six months and come up with ambiguous reasoning to back up the decision, would that mean that the revolution’s been delayed for six months? If the perfect candidate wins (and judging by the options, that would be as realistic as Egypt’s chances of winning the World Cup), would he (and not she, of course, we won’t let that happen) solve our problems? If the worst candidate wins, which in my opinion is Amr Moussa, would he end the revolutionary movement and kill it altogether? The revolution happens on every square and every corner of every street. The revolution is everywhere from schools to universities to factories and workplaces. The revolution happens from below and we, the people, together dictate where it goes and what it gains. What happens during the elections does not change our path. In fact, the elections’ sole purpose is to shoot down labor strikes and popular demonstrations in exchange for ballot boxes that protect the regime. It is historically notorious for providing political activists with reasons and motivations to sit at home, and watch their representatives go through mild reform (if they’re lucky enough). SCAF can decide when to have the elections, but we decide what to do with the revolution, and where to go with it. We’re certainly not going to wait for our enemy to lead us. Why does anyone feel obligated to cooperate with SCAF in an attempt to destroy them? They need to be aware of every single demonstration , sit-in and strike we plan, not the other way around. A lot can be said about the alarming flaws that we’re forced to work with. SCAF’s monitoring the elections from start to finish. Our ‘independent’ judicial system that woke up to the news that the American NGO workers were sent home will be on top of things. No one has a clue what the president’s role will be. And most importantly, no one has any clear expectations of who has the best chances of winning. We’ve reached a point where SCAF have allowed enough candidates to be thrown into the race sending people in completely opposite directions when attempting to guess the winner. Add that to the fact that votes’ final counts are done privately, and you are left with SCAF’s word for the final results. I think we know better. The counterrevolutionary forces, lead by SCAF, constantly talk the revolutionaries into believing that we are a minority, and that we are incapable of getting the millions out in the street. Their propaganda is sometimes successful in letting us lose hope and give up, and as a result, many walk right into reformist traps in the name of salvaging anything from a losing battle. That is complete falsehood. When the Islamists bailed out on us on the Tuesday leading up to the elections in November, we filled Tahrir completely. When the Muslim Brotherhood set up the biggest stage on the 25th January this year with Qur’an jacked up to maximum levels to overcome the anti-SCAF chants, our voice was heard throughout Tahrir and Maspero. When Interior minister Mohamed Ibrahim claimed no bird-shot nor live ammunition was used against the protestors, and the majority of the elected members of parliament supported and confirmed the statement, images and videos proving the opposite were all over. When Tantawi claimed that the Port Said massacre was not abnormal, and that the people should go out and protect the regime, thousands upon thousands were protesting at the Ministry of Interior. The regime’s attempt of survival at the expense of the revolution will continue, but it’s losing legitimacy and credibility by the minute. SCAF’s biggest bet’s on shooting us down and letting disappointed get the better of us. But we know better, because the revolution’s just getting started, and it’s not going to end anytime soon. 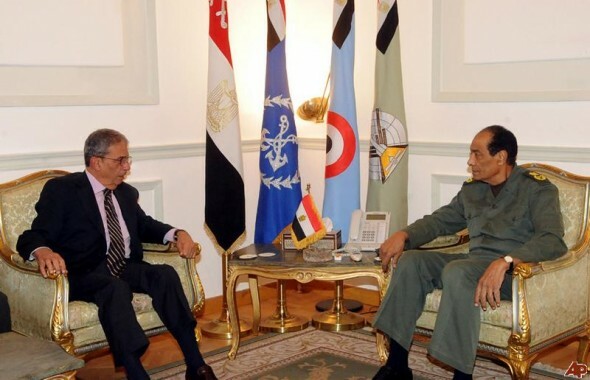 You say that SCAF is losing legitimacyand credibility by the minute. If that means it keeps adding to its illegitimate actions, fine. But in terms of political reputation I wonder: what *more* could SCAF do to lose legitimacy and credibility than it has already? It’s hard to imagine anyone who hasn’t lost faith in SCAF already, losing faith in SCAF down the road: such people will always buy the scare-mongering SCAF serves up to justify its actions. In one sense SCAF is being handed an advantage by *any* preoccupation with the elections. From outside the country, at least, it seems that the activist opposition is focused on constitutional issues to the neglect of social economic issues. Yet the current strength of the Muslim Brotherhood comes largely from its decades-long concentration on social and economic needs. If the left really wants to present itself as an alternative to SCAF and the Brotherhood, perhaps it should – while the Brotherhood is immersed in a struggle for empty parliamentary power – concentrate on these needs as well. Here the left can surpass the charity work of the Brotherhood to agitate for policies that support striking workers, the unemployed, and all those who need help. That won’t help with the elections, but it might begin to build a political base among those who otherwise would look to SCAF for their salvation.